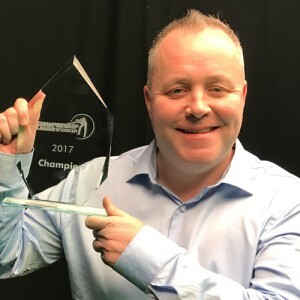 John Higgins is the 2017 Championship League Snooker winner as he defeated Ryan Day 3-0 in the final match of a long week at the Ricoh Arena in Coventry. It was the scene of Higgins Champion of Champions victory back in November and it is proving to be a happy hunting ground for the Scottish veteran. 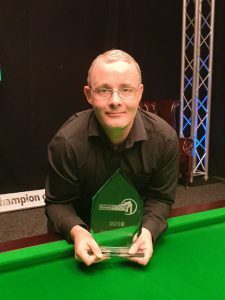 Higgins, who started the competition earlier in the week in Group Seven, took a first prize of £10,000 as well £300 per frame won in the semis and final and £200 per frame in the group stages. His total tally of £20,900 was a fair reward for four days graft. By reaching the final Day enjoyed the most lucrative season in the ten year history of the Championship League. He won a total £32,600 which overtook Martin Gould’s £31,117 which he achieved in his winning year of 2013. Earlier, Higgins had defeated Judd Trump who looked the best of a good bunch in the group stages while Day had got the better of Barry Hawkins. Commented Higgins, “I was hitting the ball okay. Ryan was unlucky with a couple of kicks in the final frame but I was really happy how I played in the semi and the final, it was probably the best I have played all week. 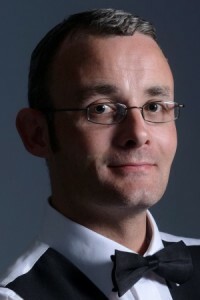 In the Group Stages today Mark Davis became the first man in snooker history to make two maximum breaks in the same tournament. 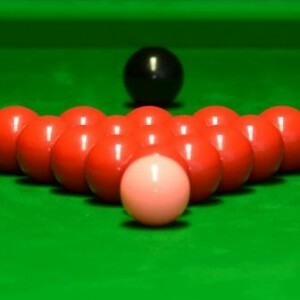 The East Sussex man compiled a 147 against Neil Robertson back in January – the first of his lengthy career. He then followed that up today against John Higgins to double his maximum tally. It was the 11th max of this season, the 129th in snooker history and he broke his own record as the oldest player to make a 147 (44 yrs 202 days).